Dubai has no shortage of mega projects this time it is indeed a miracle. 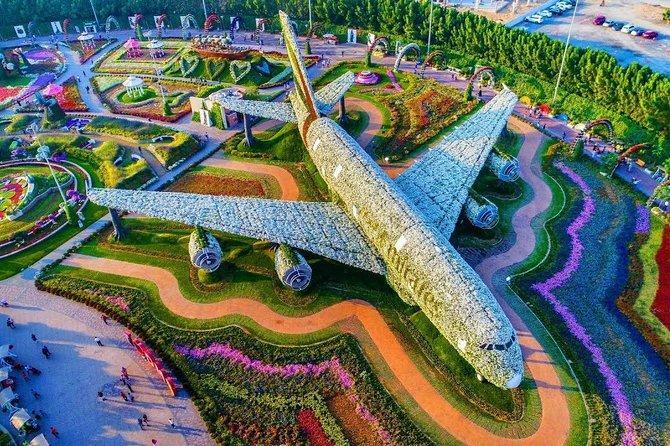 Dubai’s desert has now been converted into an oasis of flowers at the Dubailand’s new venture the “Dubai Miracle Garden”, Billing itself as the world’s largest natural flower garden, the 72,000-square-meter attraction. 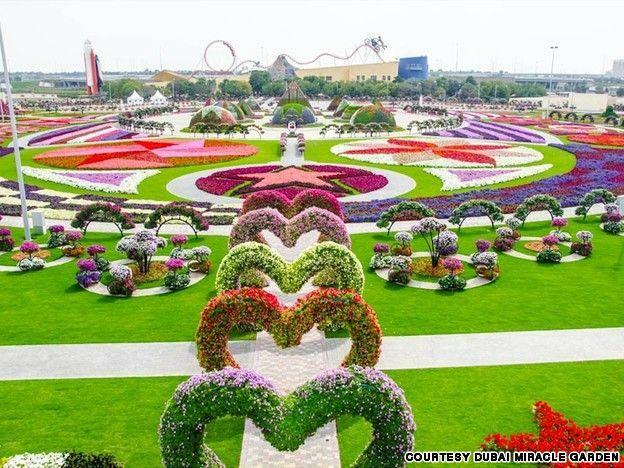 The name is apt, considering this mega-garden was -– like pretty much everything in Dubai –- built on desert land. 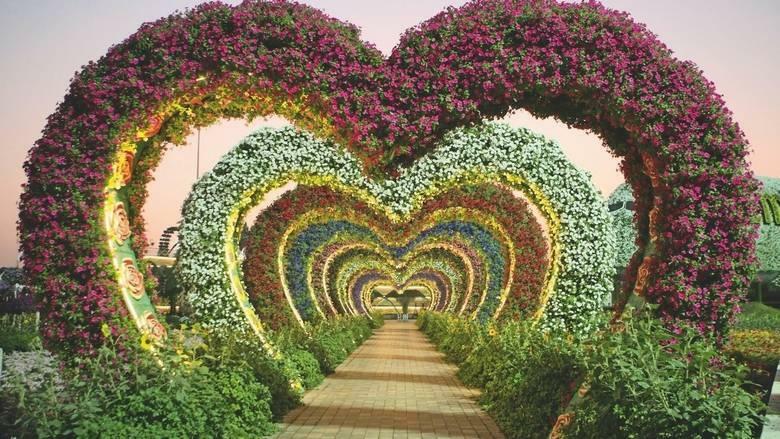 Billing itself as the world’s largest natural flower garden, the 72,000-square-meter Dubailand attraction contains 45 million flowers. It’s beautiful! But what is it? 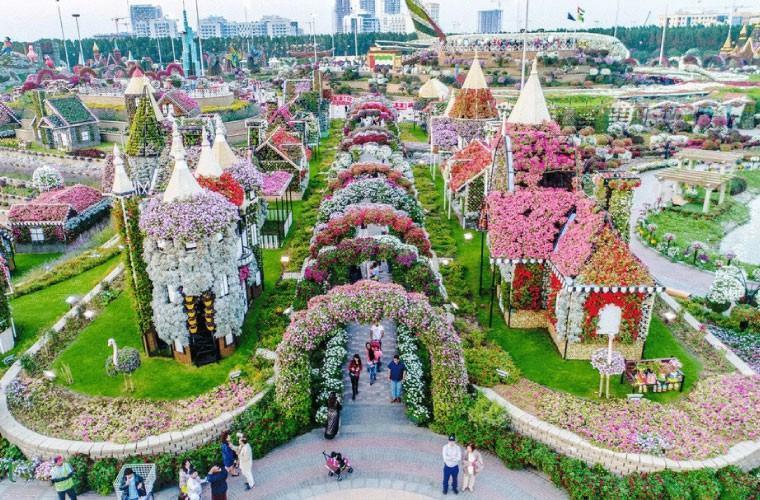 The Dubai Miracle Garden’s displays include flower-covered hearts, igloos, pyramids, cars, stars and this strange river of red we aren’t sure what to call. Don’t bother trying to bring home a bouquet for the wife. “Flower picking is not allowed,” says the list of visitor rules. Also off-limits? Barbecues. Leave your hibachi at home. 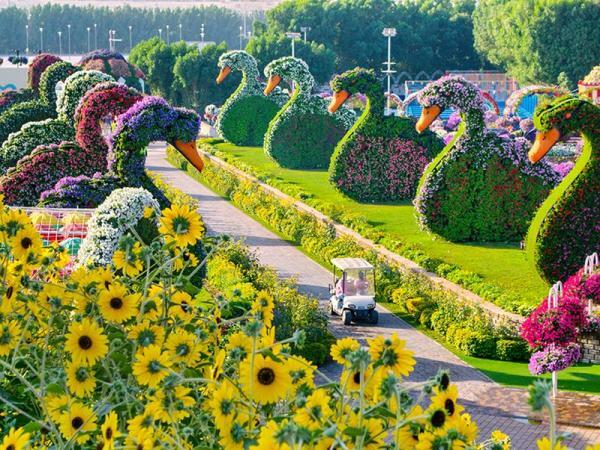 The Dubai Miracle Garden will be closed from June to September, when temperatures average 40 degrees Celsius (104 F).